Tashkent is a very Soviet city that has little remaining from its ancient Central Asian past. The city has a mixture of modern new office buildings, hotels, parks, and crumbling Soviet-style apartment blocks. Tashkent is waiting for a boom. The infrastructure, hotels, and shops are there but the influx of people and business has failed to materialize. This is caused in part by a combination of government policy and bad publicity. According to Booking.com, there are not many 5 star hotels in Tashkent. In today's article, I've listed the top 5 star hotels in Tashkent, Uzbekistan. International Hotel Tashkent is located in a green, central area. 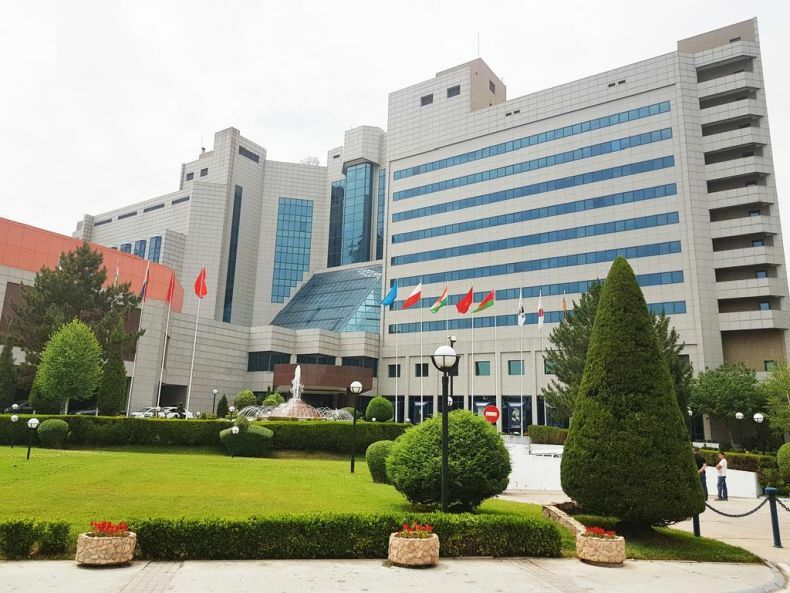 Tashkent Expo Centre and International Business Centre are within a 10-minute walk. Free private parking is provided. All air-conditioned, elegant rooms come with a TV, safety deposit box and minibar. Slippers, a bathrobe and a hairdryer are provided in a bathroom. International Hotel Tashkent offers an indoor swimming pool and a gym. It is possible to relax in a sauna or to order massage service. Bodomzor Metro Station is 20 m from the hotel, and Tashkent Central Station is within a 20-minute drive. The distance to Tashkent International airport is 16.5 km, and an airport pick up is provided at surcharge. Set in Tashkent city-centre, this 5-star hotel offers a gym, large indoor and outdoor swimming pools, sauna and Turkish steam bath. Free Wi-Fi is available throughout Wyndham Tashkent hotel. Other amenities include a beauty salon, business center, currency exchange office, travel agency, car parking and luggage storage. 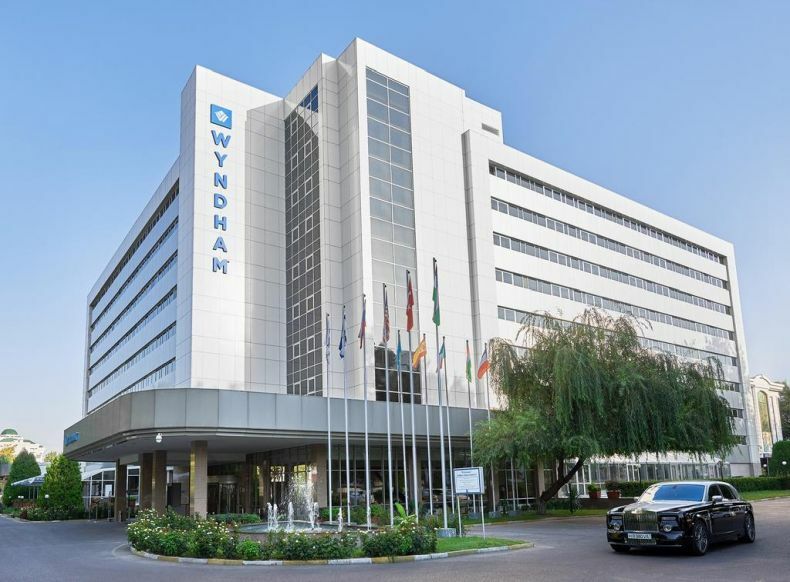 Fully renovated in 2017, the spacious rooms at the Wyndham Tashkent feature classic and modern design. All rooms have individually controlled air-conditioning and include satellite TV, minibar and coffee and tea making facilities. A buffet breakfast is provided each morning in Turkuaz restaurant where the guests may enjoy the variety of the international and Uzbek cuisine, as well as listen to the live sound of the piano. Business meetings and corporate events can be held in five fully-equipped hotel's conference halls. Abdullah Qodiriy Metro Station is a 5-minute walk away. Wyndham Tashkent is 200 m from the Amir Timur Museum and 4 km from the famous Çhorsu Bazaar. Guests enjoy free on-site parking and a 24-hour reception. Pick up and drop off service to Tashkent International Airport is available upon request. 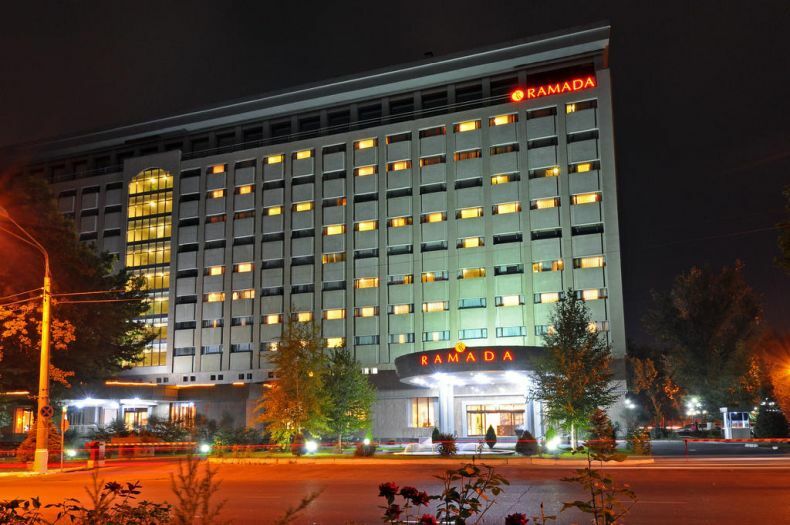 Located in the city centre of Tashkent, just a 5-minute walk from the famous Independence Square and opposite to Anhor Locomotiv Park with a carting track, Ramada Tashkent offers on-site cash machines, free WiFi throughout the property and free private parking. Rooms at the hotel offer a TV with satellite channels, a minibar, an electric kettle, a seating area, a safety deposit box, air conditioning, and a private bathroom. Guests can benefit from a 24-hour room service. Guests can enjoy Indian, Turkish and European cuisine at the hotel's restaurants, and buffet breakfast is served every morning. Guests can relax in the Ramada's health club with a fitness centre, swimming pool, massage and sauna. Other property facilities include a 24-hour front desk, billiards, a tour desk, a snack bar, meeting and banquet facilities, luggage storage, an ATM machine and an airport shuttle. Pakhtakor Markaziy Stadium is a 15-minute walk from the hotel, Tashkent Tower is 4 km, and Tashkentland is 3 km away. Mustaqillik Maydoni Metro Station is a 10-minute walk of Ramada Tashkent, Tashkent Train Station is 5 km away, and Tashkent International Airport is a 15-minute drive from the property. 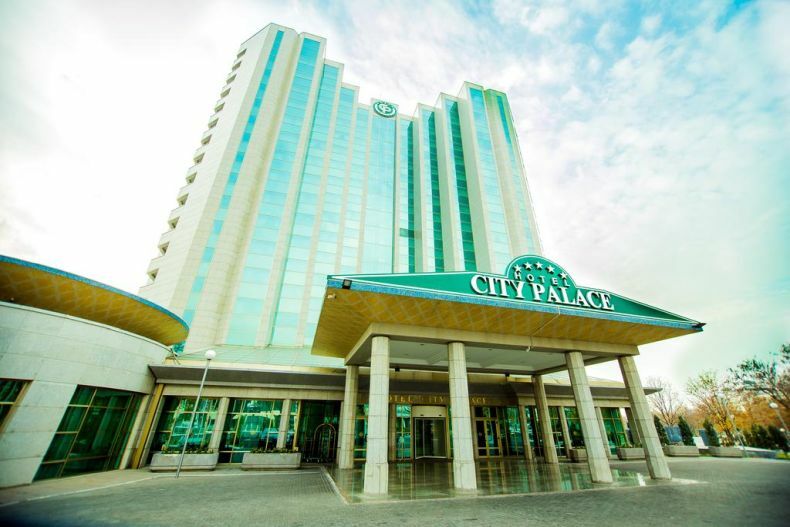 City Palace Hotel Tashkent is 500 m from Amir Temur Square and Amir Timur Museum in the heart of Tashkent city centre. Features include an outdoor pool, indoor pool, and free WiFi. A minibar, seating area, and refrigerator are provided in each room as well as a satellite TV. City Palace Hotel Tashkent extras include an electric kettle, towels, and linen. A restaurant is on site, and luggage storage is offered at reception for added convenience. Free parking is provided. Abdulla Kodiriy metro station is 350 m away. The hotel is also 3.2 km from Pakhtakor Stadium, 6 minutes’ drive from Tashkent Botanical Garden, and 7 km from Tashkent International Airport. 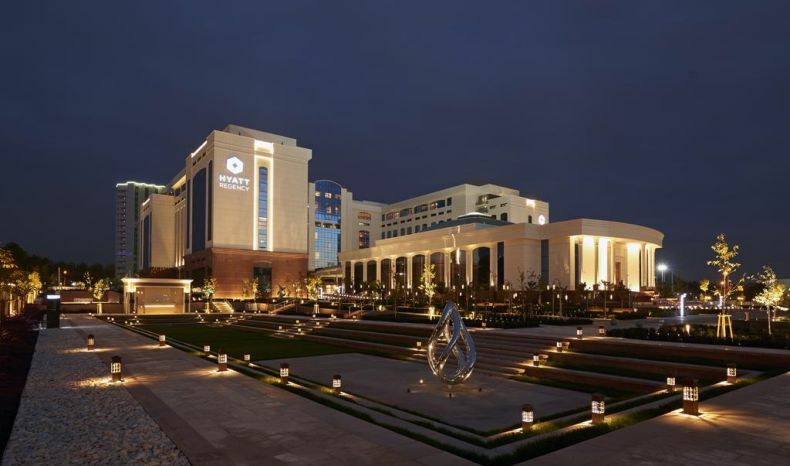 Hyatt Regency Tashkent offers accommodation in the heart of Tashkent. This luxury hotel offers a revolving restaurant, indoor swimming pool and free WiFi. In the luxurious guest rooms, elegant furnishings and scenic views are offered. A seating area is featured in some rooms where guests can relax with a drink from the minibar while watching satellite TV. Hyatt Regency’s spa and fitness centre has a modern gym. Spa services with a wide range of relaxing massages are also provided. Mustaqillik Maydoni Metro Station is a 12-minute walk away. Tashkent International Airport is 7 km from the Hyatt Regency Tashkent.